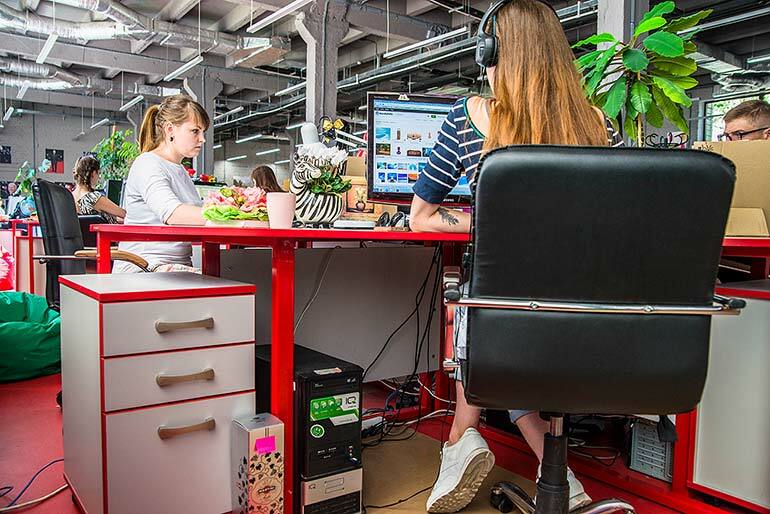 Hundreds of Depositphotos team members are working in comfortable offices in New York, Kiev and Moscow, developing the best photobank in the world. 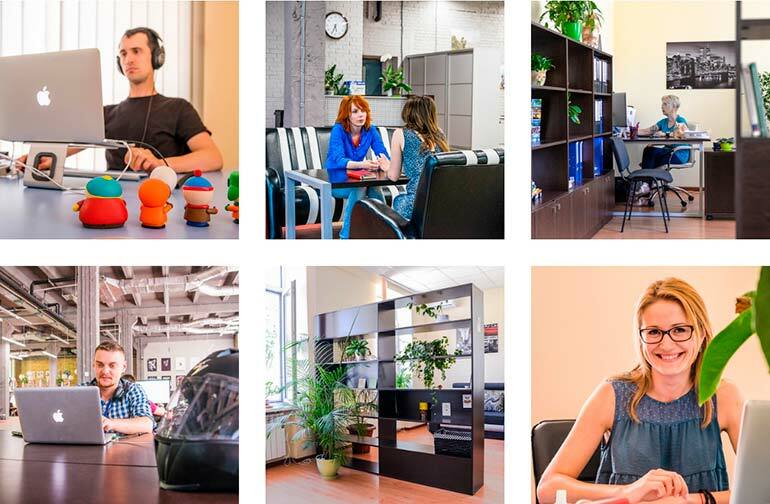 We invite you to take a virtual tour around our office in Kiev, Ukraine. 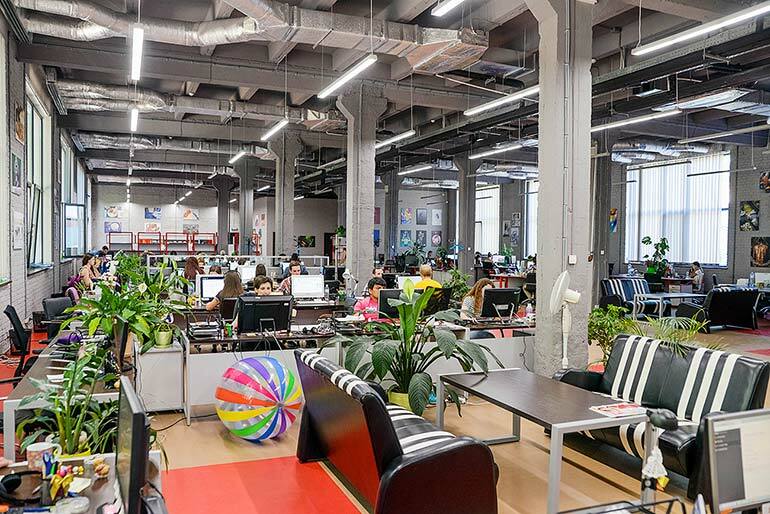 Depositphotos’ office in Ukraine is located in a modern loft – a renovated building that was formerly a furniture factory. It occupies three floors in an administrative part of the building and two huge open office spaces. Each of them has a mini-café and a kitchen where staff members can have lunch, take a break and meet other colleagues. We have no borders, conflicts or misunderstandings between our departments. Our office is very comfortable, cozy, has lots of greenery and is decorated with works by our favorite authors. During peak hours we have lots of traffic – the Support Team works in several time zones. When the weather is warm, you can work on the lawn in front of the office. We have convenient parking for bikes. 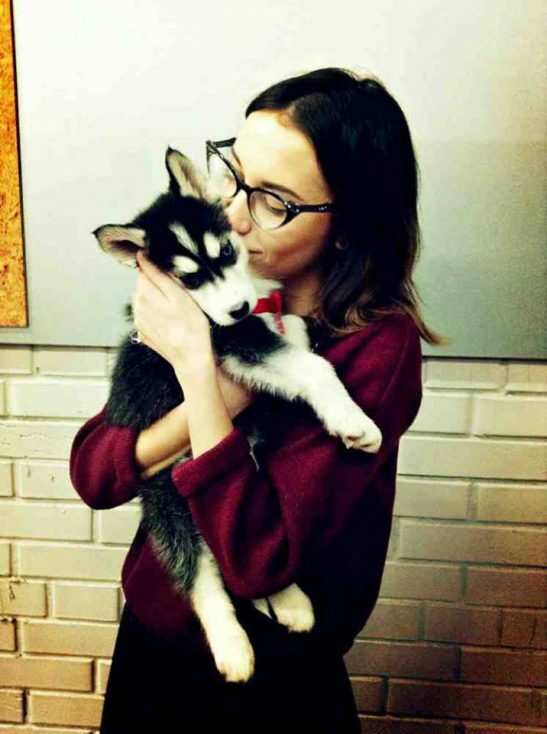 We also have an office pet – it raises your spirits every time you meet. 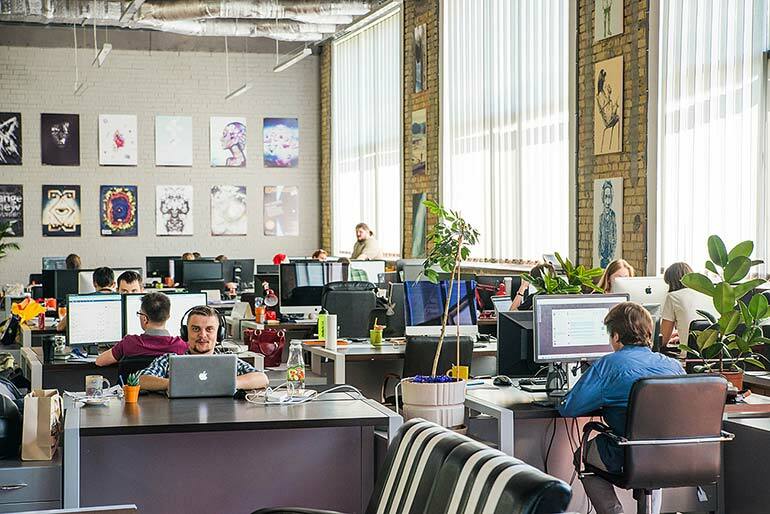 This is our office in Ukraine and the people working in it. In future articles, we’ll be happy to introduce you our offices in other countries.